Props to him for naming his service something even worse than Stadia though. For me, there are two key advantages of this system over prior streaming services. Firstly, (and this is one that many people won't actually care about) multiplayer becomes a much fairer environment. They only touched on it briefly during the conference, but hacking/cheating is practically wiped out overnight and every online game is played on a virtual LAN. Yes, there will still be the latency of the video stream, but if you're happy with how that turns out, it means every action you take is immediately registered with other players, no more checking your ping. Secondly, this is a fixed hardware system, not a hundreds of GTX 2080s crammed into a datacentre to power thousands of virtual machines. That might not sound noteworthy, but It means developers can optimise the hell out of it in the same way they do for home consoles. Yves almost clapping for himself there, that was cute. I've been involved with a project coming to this platform for a while now and it does have the potential to be quite a gamechanger if other publishers get on board. I'm not expecting our game to be announced with it, but that's a decision a bit above my pay grade! Looking forward to the show anyway. Do you guys play on console? I own it on Steam but I’ve never actually booted it up before... I gather it has cross-play features from PC though. I remember owning one of these god-awful motion controllers in the 90s: Clearly Nintendo never got hold of one or they'd have been put off motion controllers for life. About 20 quid off eBay for an unwanted AMD GPU promo code nearly 4 years ago, which came with the most expensive Mustang class ship. I since spent 5 or 10 dollars in-game to upgrade it to an Origin 315p. I was always a solo Astero guy on Eve so exploration is what I'm most interested in. I completely agree, I even have first hand experience with someone who previously worked at CiG and they weren't complimentary of their planning and organisation either. The thing is, people are (presumably) willing to continue funding it because they still like where it's going and what it's trying to do. If that's what they want to spend their money on then I don't see why anyone has a problem with that. There are far, far worse abusers of player trust and psychological weaknesses (loot boxes, etc.) in this industry. I am of the opinion that Chris is honestly trying to make the very best possible game he can for the players and not the bank - even if his ability to plan such an undertaking is arguably lacking. I don't believe there's any deceit involved at all. BAP would be my preference over 1v1. I'd join back up but it might have to wait until December to find out where I'm going to be moving. I live too far from work at the moment and with the timezone difference 10pm isn't really doable for me. Would love to get back in on the BAP league though. Mitchell's "9pm practice" comment did give me a chuckle. I have no invite, this is an outrage. Unless I'm misinterpreting some of the earlier posts, this issue is being heavily watered down by the fact people keep bringing up cross-play. Cross-play is something you can understand Sony not liking or allowing from a business perspective, but the much more serious issue here (which surely no one can agree with?) is that if you merely have the audacity to log into your Epic account on a PS4 you are then no longer able to access your account on other consoles. Meaning even if you've never even played Fortnite on a PS4, your purchases and progression from playing on an Xbox can't follow you to the Switch - because of Sony. That's just odd more than anything. I got a sneak peak at Starlink’s E3 demo last week, it’s looking much more interesting than I was expecting. Especially enjoyed the audio design. I must be one of a very small number of people around these parts to have never been bothered about Tetris, but I'm not exaggerating that this is potentially a system & VR seller for me. 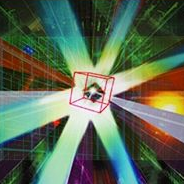 Rez and CoE were just wonderful experiences and I remember enjoying Lumines on the PSP much more than I expected to. There's an official Ubisoft livestream of the first part of the game on Twitch: https://www.twitch.tv/videos/242001912 Spoiler warning, of course. Just for my own personal sanity, how did you manage to lose work from your source control app? Aside from the workflow benefits of using Git the main reason I bother is to guarantee that no matter how careless I am I'll never be able to lose anything... Or so I thought.